This is a unique pendant. 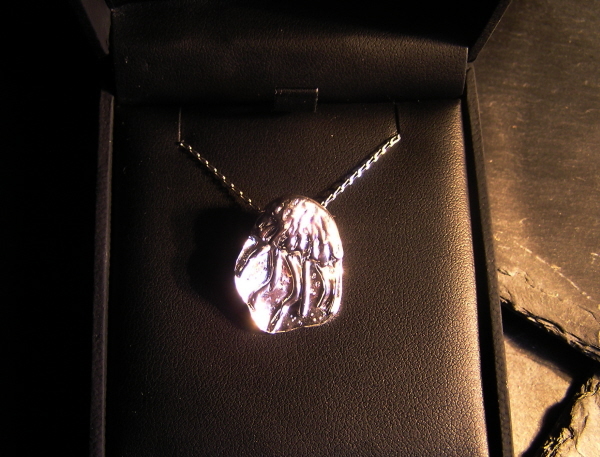 It is made in solid silver - with a stylised jellyfish raised up in the silver. Strung from an 18 inch sterling silver chain. The pendant measures 2.5cm from top to bottom of the jellyfish. Sent in a lovely black, velvet lined jewellery box.